A look at Paul Von Boeckmann’s highly unique Lung and Muscle Culture Course. His big thing was Breathing Gymnastics in relation to muscular development. This certainly makes a lot of sense, the more oxygen you can get to the muscles, the stronger they will be. Also of note is the fact that this is the 12th edition – most strength books rarely make it to a second reprinting. 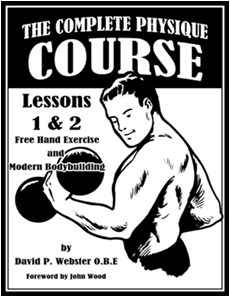 The “Strongman Stunts Made Easy” training booklet, along with five other individualized courses in the “Molding” Series, appeared sometime around 1930 and George F. Jowett claimed to have sold hundreds of thousands of them all over the world. Like much of Jowett’s writings, the material is surprisingly timeless, of course, this booklet is devoted specifically to feats of strength — the Bent Press, lifting a human being, finger lifting, steel bending, how to tear a deck of cards etc. In what should also not be a surprise, Jowett describes the training for each feat in great detail. 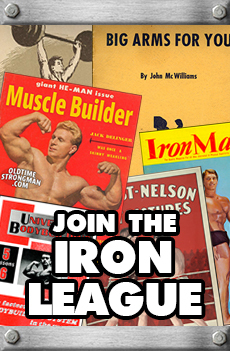 Copies of “Strongman Stunts Made Easy” are not easy to come by but FYI, this course is available in its entirety in The Iron League. Lionel Strongfort(aka Max Unger) was one of the first mail order muscle kings and this is one of his advertisements from 1928. His “Strongfortism” system, which involved mostly body weight movements and light dumbbells, was incredibly popular in the early 20th century. Strongfort was originally a pupil of Professor Attila. Joe Bonomo was one of the early “Mail Order Muscle” stars and a contemporary of Charles Atlas. As a young boy, Bonomo was fortunate enough to meet a Polish strongman named Ladislaw who taught him how to train. Soon the boy they used to call “toothpicks” became a star football player and gymnast. Right out of high school Joe won a talent search contest in the Daily News for “The Modern Apollo” — which led to a role in a motion picture. He went on to star in dozens of movies as both an actor and a famous stuntman. His performances in serials and adventure films earned him many fans, many of whom wrote in asking how he had developed his rugged physique. 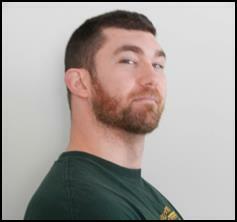 Joe created a form letter detailing his training and sent it to anyone in need of advice. The demand became so large that an outright mail-order business soon followed. In addition to his work in Hollywood, Joe Bonomo inspired millions of young men around the workd with his strength building courses. In the early part of the 20th Century, Siegmund Breitbart was one of the most well-known strongmen the world had ever seen… stories of his great strength graced newspapers all across the country. He bent steel bars, drove nails with his hands, supported automobiles, twisted horse shoes, pulled wagons with his teeth and even bit through chains! Breitbart was from a family of blacksmiths and was known professionally as “The Iron King” — like many strongmen of the period, he also had his own series of mail-order training courses.